The following are common volleyball weight training workout mistakes made by women volleyball players. When it comes to workouts and exercise, females tend to make the mistake of choosing cardiovascular methods such as running or kickboxing. If you want to get stronger for volleyball, resistance training is a must. It's resistance exercises like squats, deadlifts, push ups, and pull ups that increase your vertical jump, court quickness, and spiking power. Resistance training is much better than the typical cardio workout because through strength exercises you improve body awareness and increase your mind-muscle connection. By exercising through the correct movement patterns, you help re-teach your body to perform certain movement patterns correctly using the correct muscle groups. This results in not just a safer volleyball weight training workout, but also a stronger, more athletic volleyball player. You can't just go to the gym and stretch some muscles, run on the treadmill, and throw some dumbbells around. If you want results, you must consider the training variables - 1)training history, 2)training frequency, 3)exercise order, 4)exercise selection, 5)training load and reps, 6)rest intervals. What exercises? How much weight? How many sets? How many repetitions per set? How much rest between sets? How many workouts a week? All these variables make up a structured volleyball training program. What does a well-designed workout consist of? Dynamic Warm Up. Just 5 minutes a day of dynamic exercises can go a long way to improve your overall movement quality and performance on the court. Diaphragm Strength. Using the correct breathing techniques will create a stronger, more stable core. Soft Tissue Work. Self-massage techniques such as foam rolling are important for improving muscle tissue quality. Soft tissue work will release the muscles and improve joint range of motion. Using a foam roller just 5 minutes before or after a workout is a quick way to reduce soreness and improve quality of muscle tissue. Strength Training. You don't get strong by working up a sweat on a stair-climber, treadmill, elliptical trainer, or stationary bike. Strength training involves using resistance through various movement patterns that involve squatting, hinging, pushing, and pulling. Energy System Development (sport specific exercise). It's important to condition the right way for volleyball. Do you want to look, feel and be more athletic playing volleyball? You must condition the right way to be quick on defense, have explosiveness for jumping and spiking. Plays in volleyball consist of high intense efforts with short periods of rest between efforts. Volleyball is highly anaerobic. You need develop your energy systems to effectively approach fast and jump high. You are going to play how you train, so if you want to be fast and explosive, then your conditioning must be fast and explosive. Doing a thousand reps with super light dumbbells is essentially another form of cardio and it won't make you stronger for volleyball. You must use heavy resistance to build lean muscle tissue. How heavy you need to lift is relative. If you are a beginner, your own body weight could be plenty heavy enough. As you get stronger, you must increase the resistance. Basically, make sure you're always challenging your body by increasing the demands you place on it. This is how you make progress in strength and performance. The more rest between sets, the more your muscles recover for the next exercise. Without adequate rest and muscle recovery, you won't have quality exercise repetitions... technique suffers and you risk injury. Quality repetitions lead to a productive volleyball weight training workout. Also, don't make the mistake of training tired. 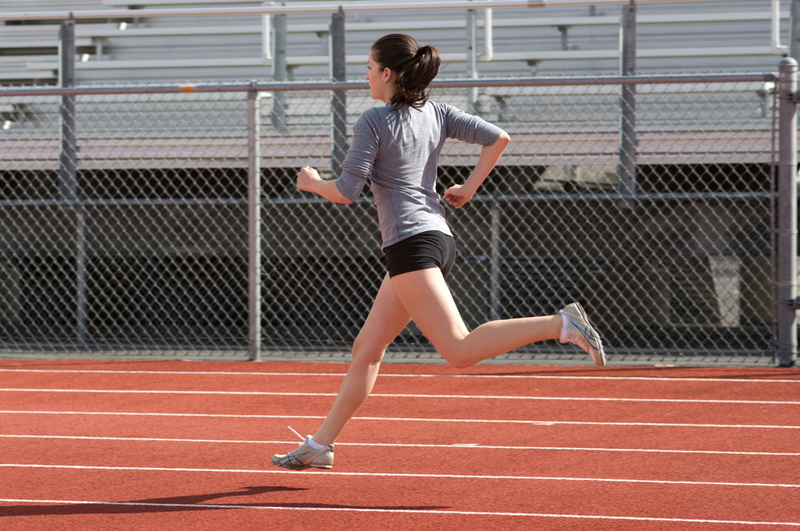 Fatigue leads to poor form causing injury. For bigger compound movements such as barbell squats and deadlifts, you want even more rest (typically 2 to 4 minutes). However, less rest is needed (30 to 90 second rest between sets) for exercises part of a superset (paired exercises that work opposing muscle groups). This is probably the biggest volleyball weight training workout mistake. The effectiveness of your warm up affects the likelihood of injury. The warm up also impacts your performance in strength training. Dynamic stretching, not static stretching, will help raise your muscles' core temperature preparing your body to move. Dynamic stretching is basically moving while you stretch. This prepares your body for the movements that are required of them. These stretches help prepare you for your workout both mentally and physically.